Two chocolate and wine pairing events in a week? My reputation as “chocolate connoisseur” seems to be holding true. A big thank you (again) to Estelle Tracy of 37 Chocolates and Virginia, winemaker of Galer Estate Vineyard & Winery for having me! 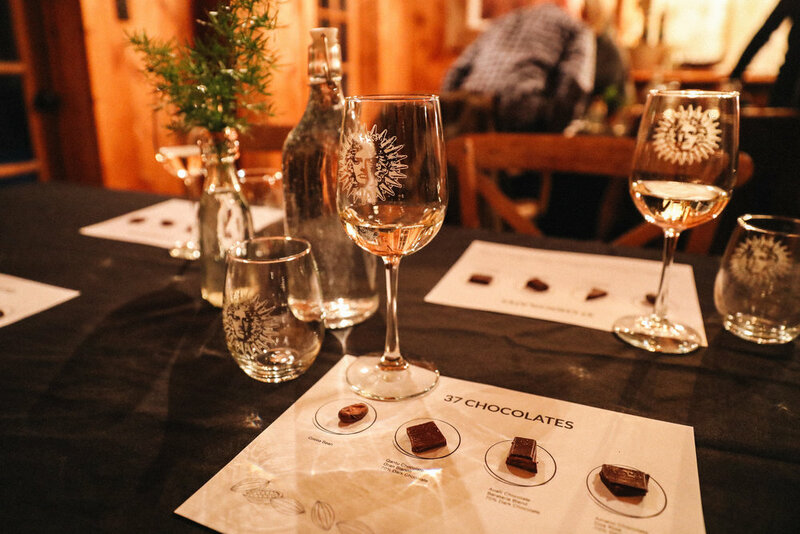 Last year, almost to the date, I attended my first ever chocolate + wine pairing with Estelle and Virginia at Galer Estate. It felt so great to be back a year later! The space is beautiful and intimate. The fire was crackling in the background and there was a warm energy in the room. We had three different pairings, as pictured last in the set below. 1) I was so excited to taste the Dos Rios bar again! This quickly became a favorite bar at the last pairing. The orange bergamot and lavender flavor is so unique. Especially because that flavor comes straight from the cacao bean. What’s interesting about this pairing was that I tasted the lavender predominantly this time with the wine pairing. Albariño is a “Spanish grape has distinct aromas of peaches and apricots, and flavors of orange blossoms and rose petals.” This pairing was my favorite. 2) This pairing was BOLD. Lots of flavor. Estelle mentioned that pairing wine and chocolate is like matchmaking. Sometimes opposites attract, but other times two similar personalities work well together. I loved this! The Acalli 81% has a nice snap. Look, I’m learning chocolate terms! 3) The Qantu 70% has notes of citrus and honey. “The Huntress” is a “Bordeaux- style blend; unique each vintage. 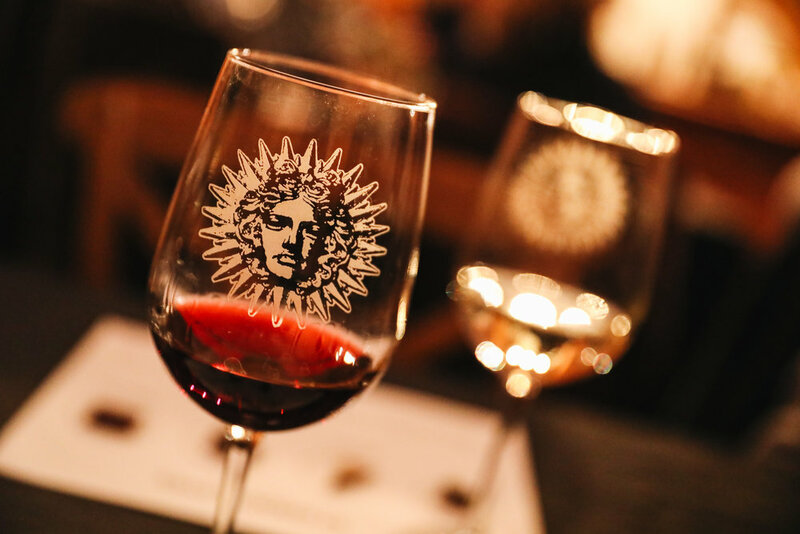 Contains aromas of cedar, spices, and flint, with fruit flavors of fig and cherries.” Estelle and Virginia mentioned that this pairing worked well together because of the low tannins in each - I agree. What a perfect, relaxing way to spend a Friday evening in great company. I’m looking to our next chocolate adventure, hopefully soon! In the mean time I will be eating the bar I purchased - Castronovo White Chocolate infused with lemon & lemon salt. Below are a few photos from the evening.